An insatiable desire to hit the road doesn't have to come at the cost of living in comfort. Recently listed for sale, the Sausalito, CA native Wander Lodge is here to prove this point to a tee. Boasting a smooth steering experience and harmonious space capacities, this 1983 Bluebird is set to take us all for a highly enjoyable and memorable ride. Come and take it for a test drive with us - you know you want to! The Wander Lodge's listing praises the fact that this 200-square-foot (18.58-square-meter) bus is long enough to be a comfortable dwelling, but just about short enough to parallel park in the city without any extreme maneuvering. A red stripe runs along the exterior, providing a bit of warmth to the muted grey overall finish. 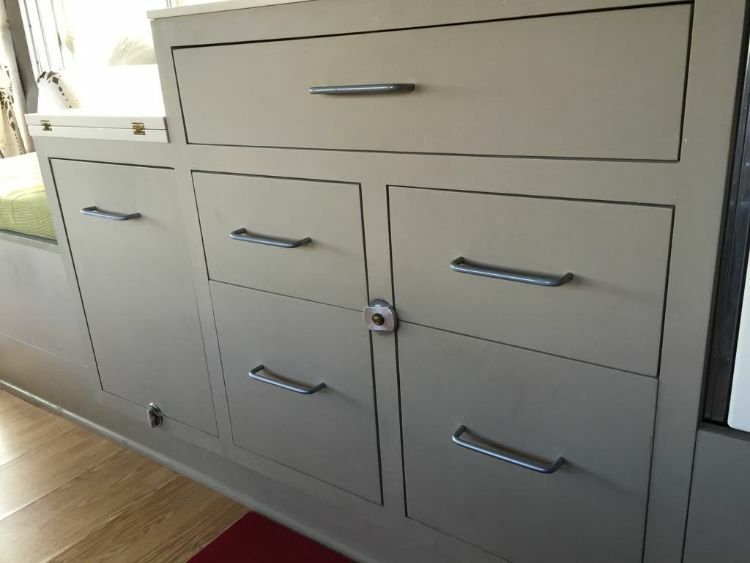 Now, the seller admits that the harsh Californian sun has made the paint job a bit flaky - but that's nothing that a quick refreshment coat won't fix. The inside is brightened by polished wooden flooring, lime green seats, white curtains and creamy-colored cupboards. "Custom" is the key word for the interior's furnishings. 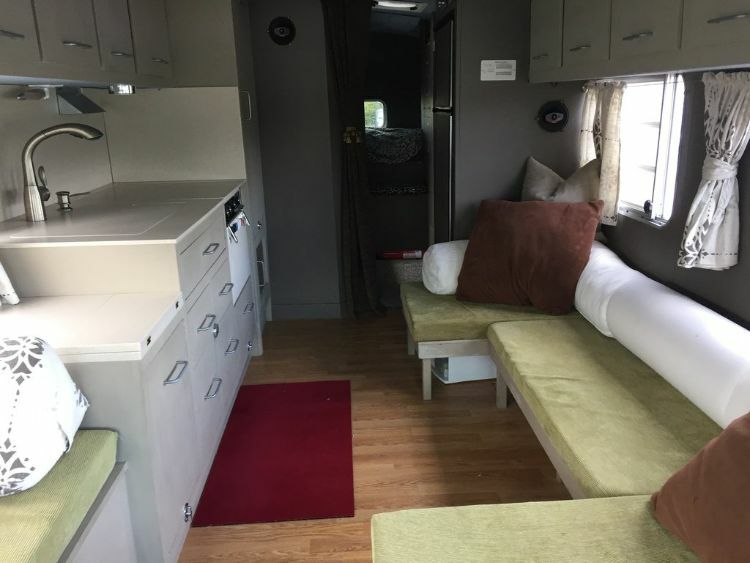 Especially in the living area, which comes with an adaptable settee that can be converted into a guest bed. Don't you just love those versatile shelves above the gleaming Corian countertops? 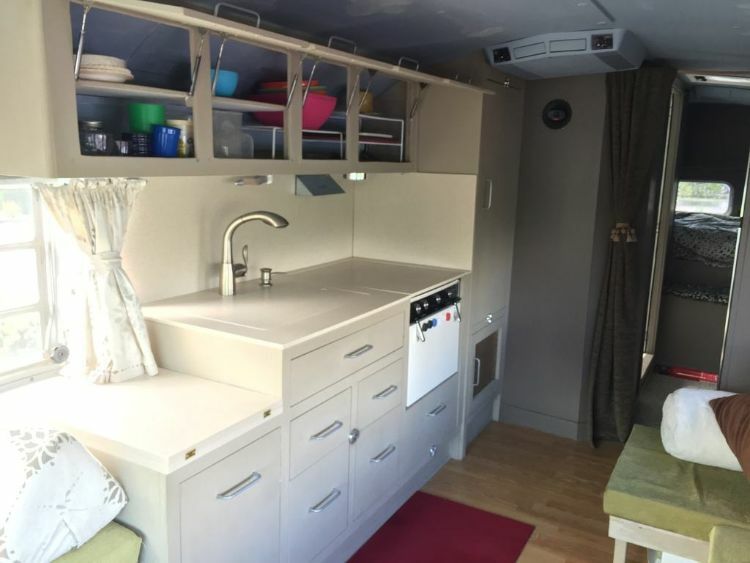 While storage space is definitely the star of this charming galley, you'll also see a cute little propane stove and oven making a discreet cameo in the sidelines. And how's this for a unique addition? 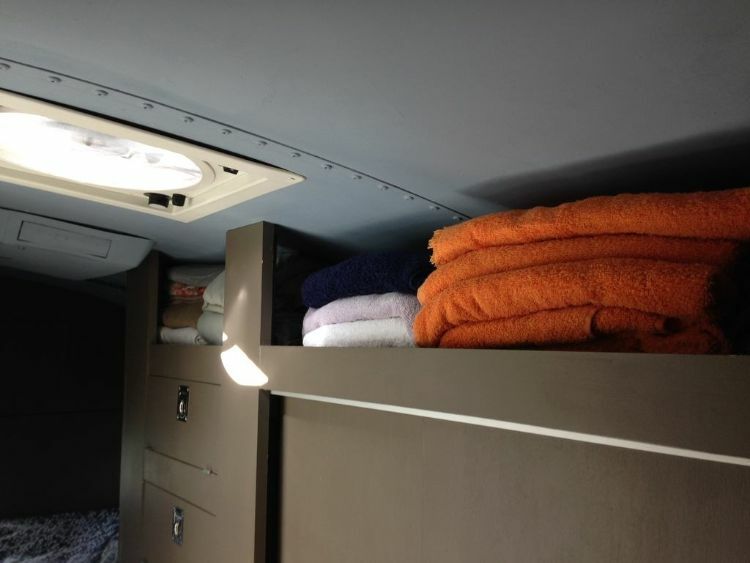 You don't usually see lockable cabinets inside converted buses. 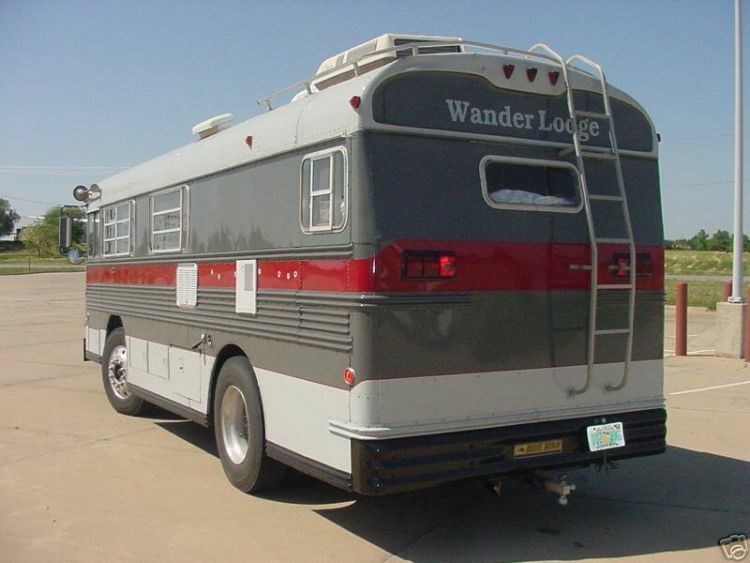 This just goes to show that the Wander Lodge's master builders took the time to ensure that all aspects of this mobile home could withstand the bumpiest road conditions. The cozy bedroom is another storage haven, incorporating a hanging closet with shelves, multiple drawers, and sliding doors. 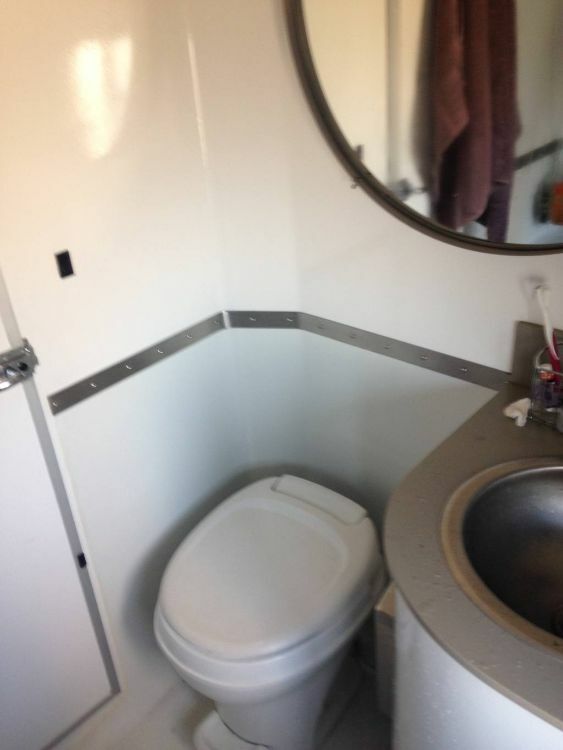 Did anyone else think of a luxury flight when they glimpsed into the bathroom? Fiberglass and waterproof LED lighting give this area of the Wander Lodge a healthy glow. It really is quite amazing how much one can fit inside a compact room. 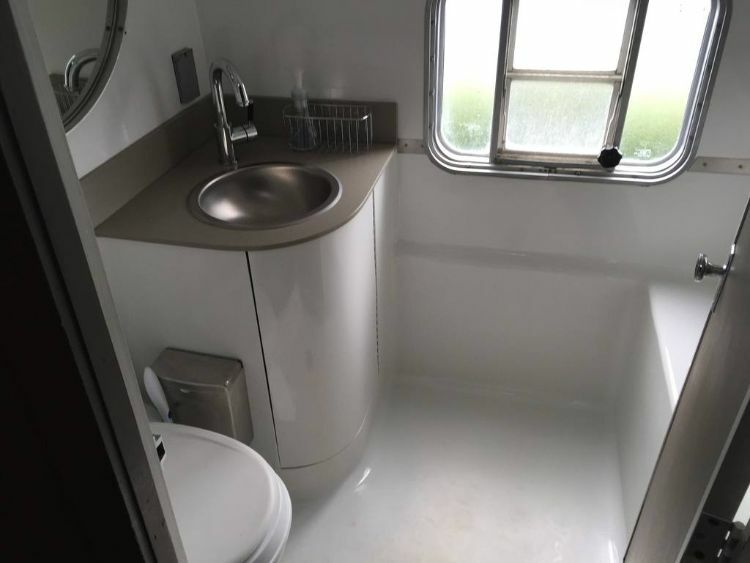 The bathroom is complete with toilet, sink, vanity and a large mirror! 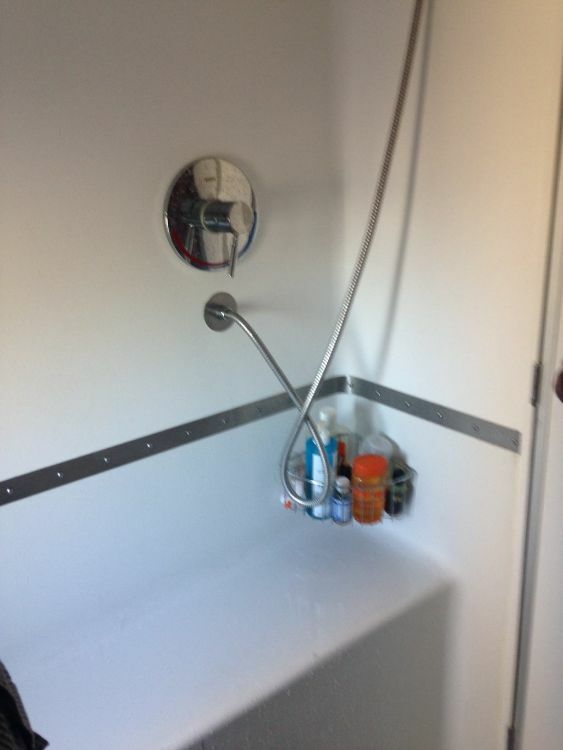 Can't decide on a shower or bath? Well then, why not both? This elegant fiberglass bath comes with a showerhead so you don't need to pore over that decision. 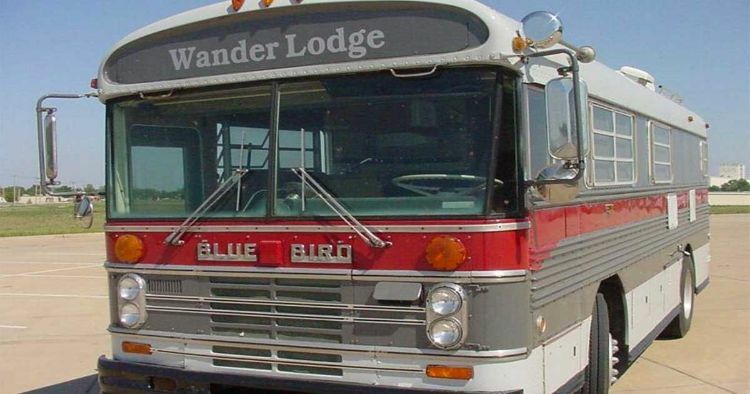 This converted Bluebird has all of us singing high praises. Not too big, not too small, and just right when it comes to incorporating the best amenities. Definitely a great contender if you're looking for a new roadside companion.